Today was one of those sick days you have to go outside and work on trees. 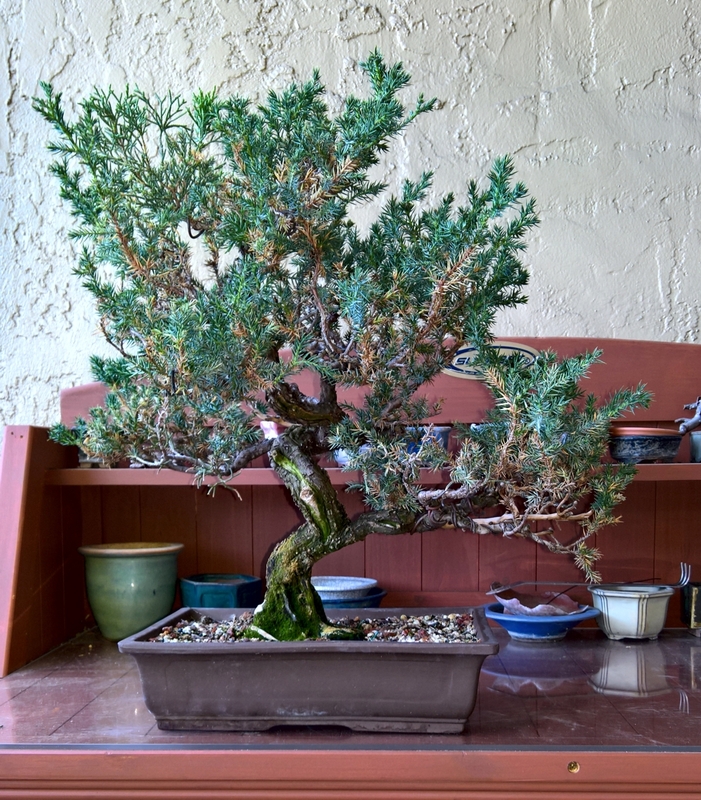 Many of the shimpaku junipers were let grow to recover from a bad year past. Between too much heat, sun, and stress most suffered. So this year they were in grow mode to recover. However; we got some brutal heat this summer and the trees stressed out again, the good thing is that I had not cut them hard and wired them. In the heat of summer the foliage looked very tired. 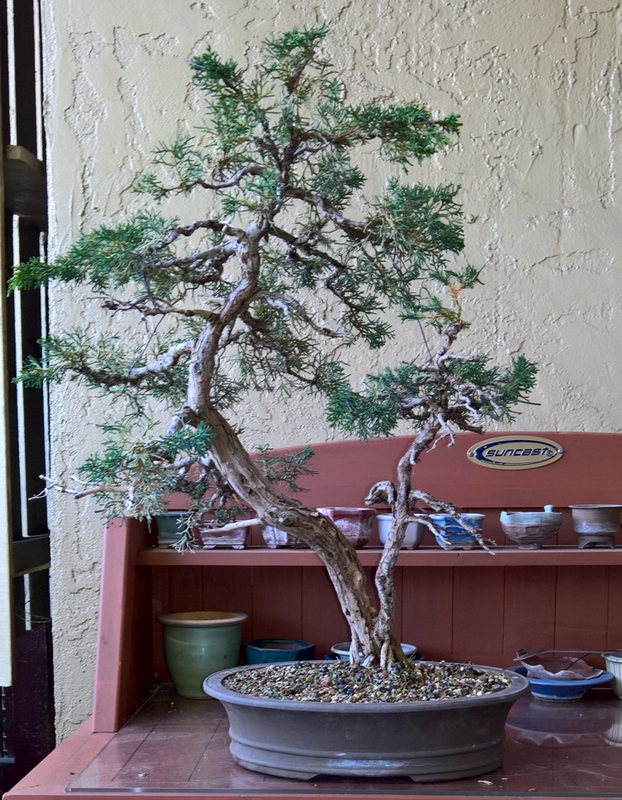 After the passing of the worst heat, it was time to open up the foliage, define branches and do a little restyling. 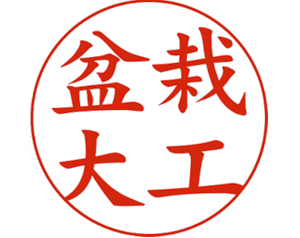 The first project was this shimpaku. It has always suffered since I got it more than 7 years ago. 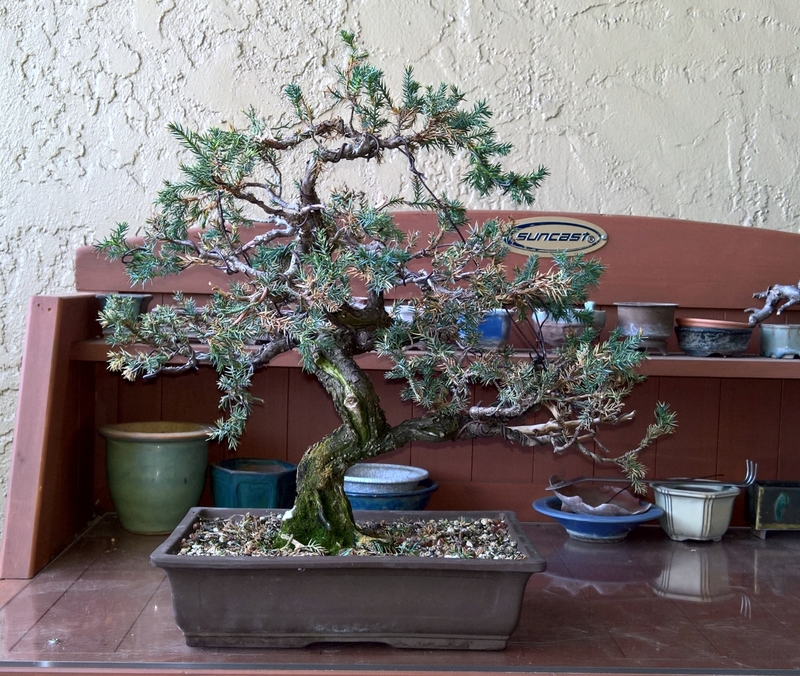 The bottom branch was too weak and split; I had been trying to keep it strong but never won the battle. So now it is a jin. The foliage on the top was tired and burned but there was new growth appear now that the heat had passed. 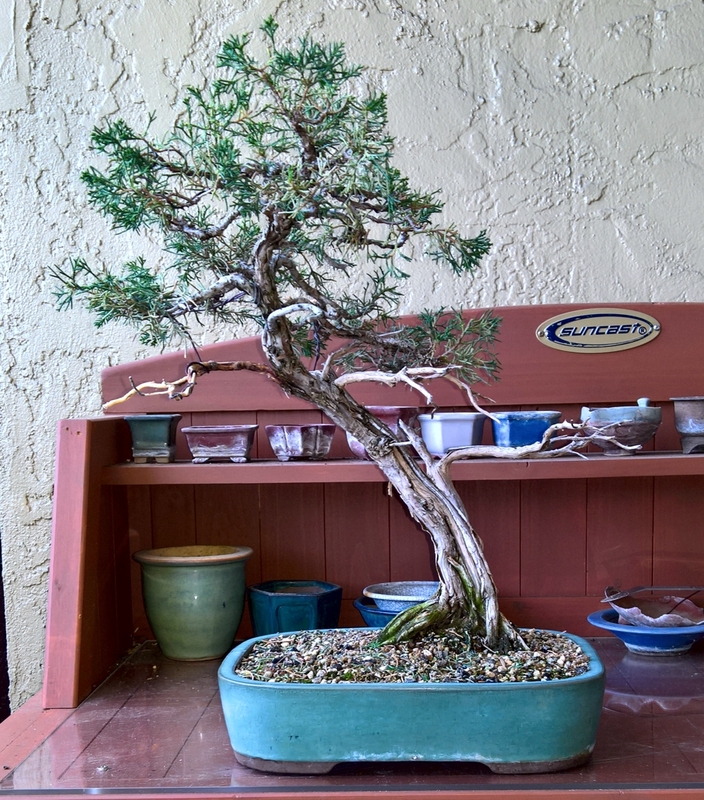 This next tree is a San Jose Juniper. 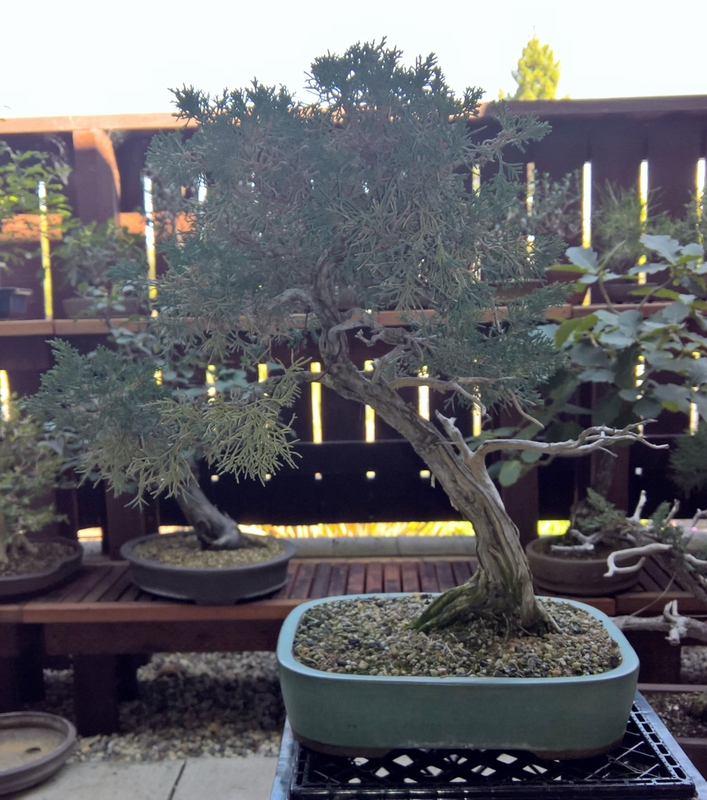 They are difficult trees at the best of times but this one suffered after re-potting last year and styling so it was let grow out to get stronger. I let that take its course before restyling it. It has a long ways to go and its mixed juvenal foliage and mature textured foliage will mix again soon. 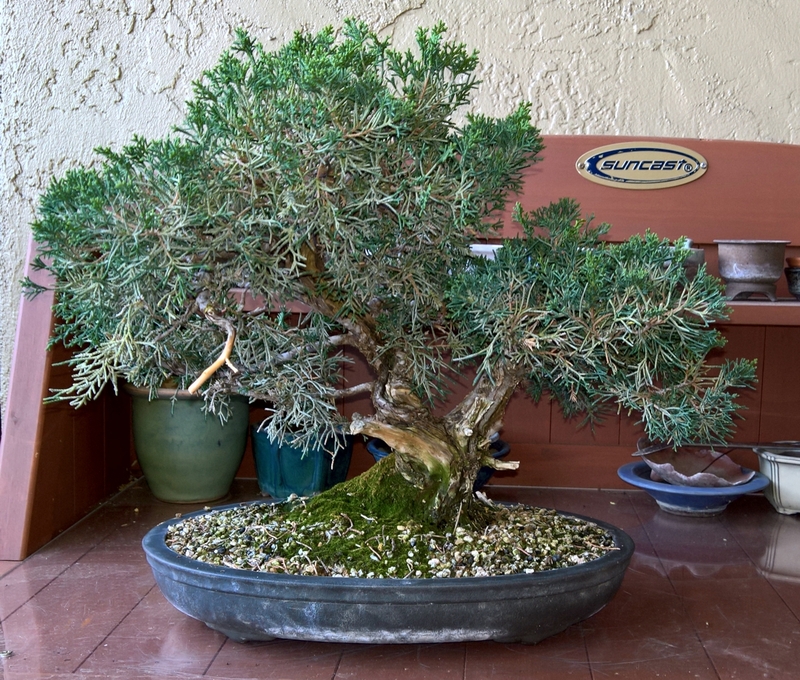 My next project was another Shimpaku Juniper.This tree has been in the collection over 10 years. It has suffered just like my other shimpaku from too much heat and sun. Last year after re-potting we were hit with a heat wave. Most of the trunk on the right side died and I feared for the tree. This year after growing out it was time to ‘start over’ on this one. Cleanup of the dense foliage and dropping some branches will put this on the way to recovery. Still another Shimpaku Junper, one of may favorite long term projects from the GSBF workshop with Jim Gremel needed cleaned up as well. 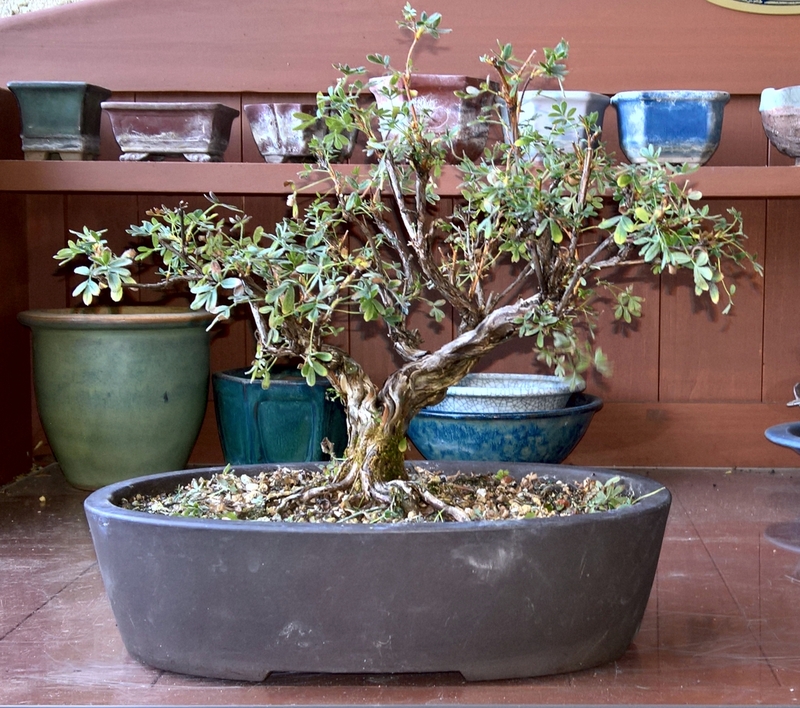 This one was destined to a show earlier this year but the heat decimated this one in its shallow pot. Cleaned up now it will be on its way to recovery. I also worked on some other small projects today. 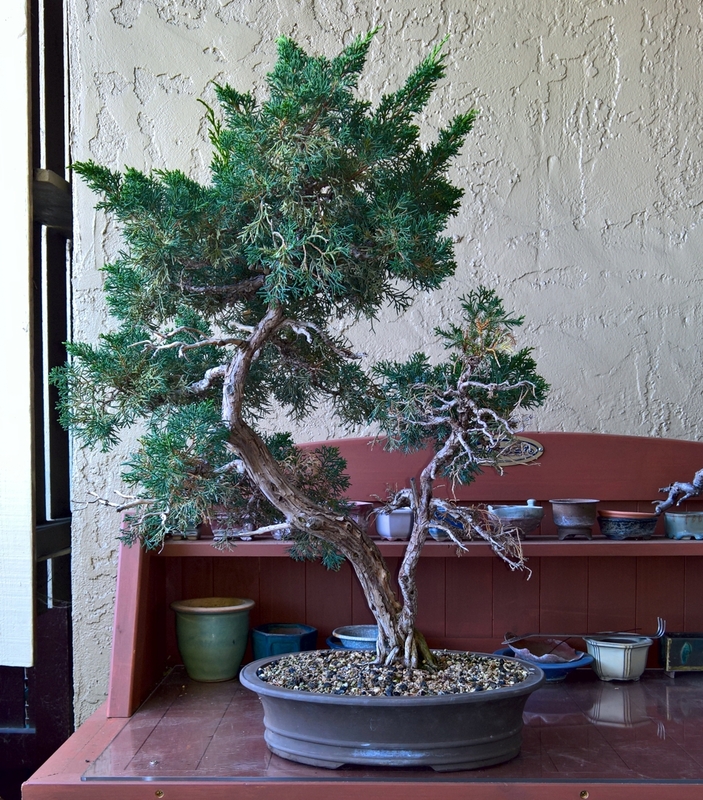 Cleaning up a shohin black pine, and continued working on this lovely Potentilla. 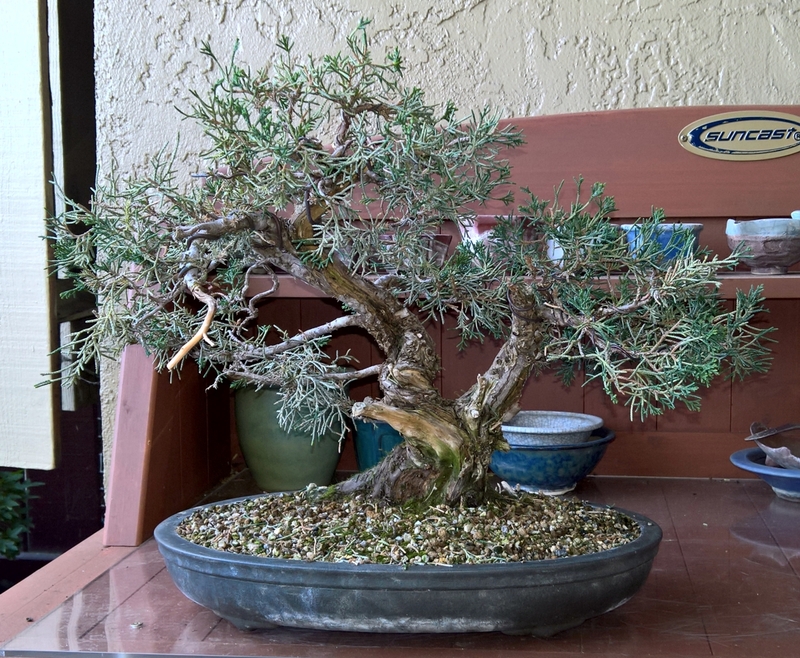 Since joining the collection this year it has come a long way from a bush. Potentilla, Still working on the basic design since this one joined the collection this summer. It has come a long way since bush style.